This course is accredited by the Chartered Society of Designers and will equip you with the skills and knowledge you need to design exciting venues. By choosing to take a foundation year first, you can make the smooth transition to a honours degree. Interested in a career where you can translate your design ideas into reality? This accredited degree equips you with the skills and knowledge you need to design exciting venues ranging from bars, restaurants and entertainment complexes to hotels, shops and museums. And, by choosing to take a foundation year first, you can make a smooth transition to honours degree level. You can also take the BA (Hons) Interior Architecture and Venue Design without a foundation year. Find out more. This degree covers a wide range of venue designs that offer enormous potential, from the interior architecture of bars, restaurants and multi-purpose venue spaces to the design of hotels, resorts and residential developments. You will look at the planning and design of live performance spaces, social and community places, exhibition spaces, galleries, brand retail outlets and museums, to name just a few examples. 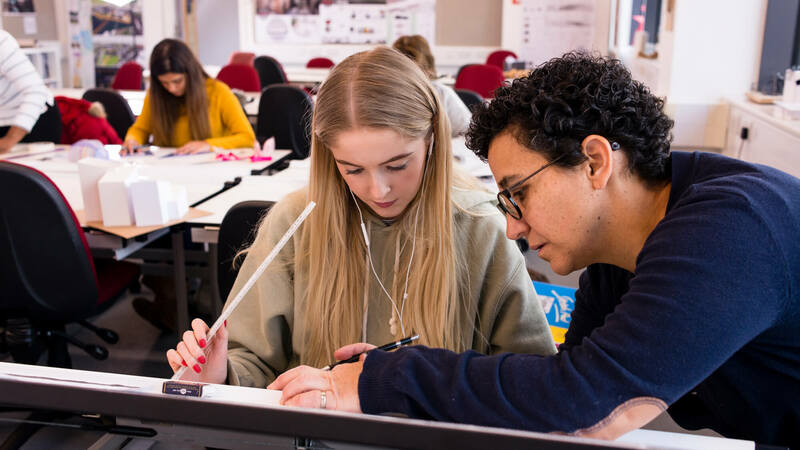 Taking a foundation year is an excellent choice if you lack the entry requirements to join the BA (Hons) Interior Architecture and Venue Design straight away. It is also a smart move if you have changed your mind about your career since you chose your A-levels or BTECs and need to improve your skills in a different subject area. The foundation year gives you a solid introduction to subjects such as design and construction science, plus the scholarship skills for technologists that will serve you well at honours degree level. 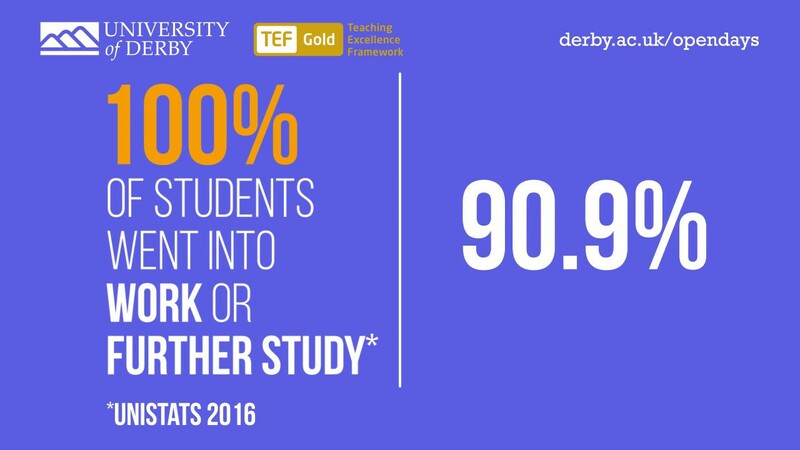 From day one, you will enjoy all the benefits of being a University of Derby student, plus extra support to build your knowledge and confidence. During your studies, you will be constantly challenged to conceptualise, investigate and develop the design of three dimensional spaces. You will gain a thorough understanding of the ways in which architectural and interior design histories and theories, as well as existing physical and cultural contexts, inform design processes, programmes and proposals. We foster an ethos where you will produce socially, culturally and environmentally responsive design proposals, drawing upon best practice and the wide-ranging expertise of our teaching teams. This degree is accredited by the Chartered Society of Designers so you will develop all the knowledge and skills you need to become professionally qualified. Once you have successfully completed your studies, you are entitled to become a member of the society. Raising your professional profile further still, you will also become eligible to join the British Institute of Interior Design (BIID) as an Associate Member on the Professional Pathway working at Level 3. If you complete a placement year and the associated Diploma in Professional Practice, you would join BIID working at Level 4. You can gain valuable industry experience on an optional work placement between stages two and three of your honours degree studies. You will also achieve an additional qualification, the Diploma in Professional Practice, as part of this experience. In just one example, Sara Butkiewicz and Toni O'Donnell headed to Los Angeles for their placements, working in Beverly Hills and Bel Air. Our courses are designed with the help of employers, so they are focused on preparing you to hit the ground running from day one in your career. Our links span companies such as Scott Wilson, Vinci PLC, Taylor Woodrow, Bowmer & Kirkland and Baggaley Construction. Our industry partnerships mean that you will have the chance to see real-world projects at first hand and go on study trips in the UK and Europe. You will also be inspired by guest lectures delivered by experts from industry. You will then study a total of 120 credits per year full time and a maximum of 80 credits per year part time. This will be made up of single and double modules. During the course, you will have the opportunity to take an optional placement year as well as UK and European study trips. You will also be encouraged to display your work in exhibitions, both locally and in London. The majority of your studio projects are based upon actual local sites so you could get involved in current projects with real-life clients. You will be assessed in a variety of ways to help you develop your presentation and communication skills, which are essential for professional practice. 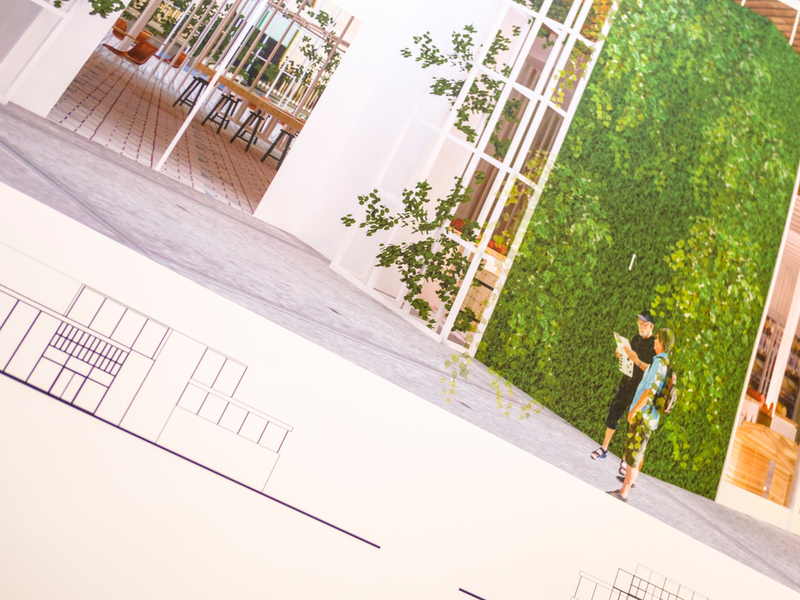 As a BA (Hons) Interior Architecture and Venue Design graduate, you are ideally prepared for employment opportunities covering everything from generic architectural or interior design to venue project management and technical consultancy. Some graduates have even secured jobs abroad, such as with the Akarstudios in Los Angeles. Graham is the Programme Leader BA (Hons) Interior Architecture and Venue Design and the Programme Leader for FdSc Architectural Studies. Graham is also the Subject Leader JHS Architecural Design and a Senior Lecturer.